Lutron System Service & Repair - Technical Comfort, Inc.
Has your Lutron installer let you down? Has your older equipment started failing? Do you want to expand your system? Or maybe you’ve got some lights that don’t work the way you want them to. Whether you need something large or small, if it’s at all connected to your Lutron home automation system, Technical Comfort is the Lutron Service & Repair team for you. While many larger general contractors, electrical contractors or A/V contractors may not make the time for service calls, we absolutely do. There’s no one more important to us than our customers, and if they’re sitting in the dark, or something isn’t working right, or if they just want something to work differently than it does now, a quick call to us is the first step towards fixing the problem. Did you just move into your new home only to find that it’s filled with outdated Lutron components? We’re specialists at repairing or replacing older Lutron and non-Lutron systems. Are you just stumped about how the Lutron System was programmed for your home? We can figure it out and explain it to you in plain English. Has your keypad stopped working? We probably have a replacement on the truck. Do you want to change how your system works? A little bit of programming can make all the difference for you. Are you adding a room? Then you’ll need compatible components and integration to make your new room work as well or better than all the others. Are you looking to add LED Lighting to your home so you can save energy? Older Lutron systems may not be set up for LED lights so you might run into some trouble unless you contact us first. But don’t worry… we can help you with all of these issues. 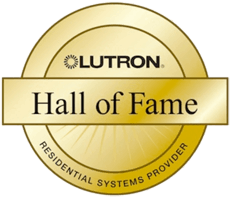 We can service and repair your Lutron system because since 2004, we’ve seen just about every problem imaginable. And we’ve also designed, programmed and installed over 400 individual Lutron systems. Company owner Rick Wlodyga has led our company, Technical Comfort, to become a two-time winner of Lutron Excellence Awards and has been a Lutron Diamond Dealer since 2010. We’ve won these awards because our number one goal is customer satisfaction and providing exceptional service and responsiveness to each and every client -- even for small repairs. We get to know our clients and how they live in their homes, which allows us to design, program, install, customize, and service each system to the particular needs and desires of each individual client. That’s why we can confidently say that no matter the problem with your Lutron system, we can help. At Technical Comfort, we are always busy and in demand, so please call us as soon as you have a problem or question so we can help you as quickly as possible. Our office is conveniently located in Laguna Niguel, close to all of Orange County and surrounding areas. Whether you’re upgrading an old Lutron system or customizing a new one, we can find replacement parts, run software updates, and explain the entire process using language you understand.